Since 1947, Kashmir has remained India’s foremost national security challenge, the nature of the challenge changing with the decades. Without doubt, the most popular mainland leader in Kashmir was and continues to be Atal Bihari Vajpayee for both his sincerity and imagination as well as his spontaneity and vision. Kashmir is in a mess. The sooner the people of the country realise this, the easier it will be to forge a consensus once the din of the elections is over. We need, today, a national framework on Jammu and Kashmir, based not on positions of the past or manifestos articulating absolutist ideas, or national security doctrines that conflate nationalism with religion. We need a policy outlook, which we term as Vajpayee 2.0, that builds on the imagination and legacy of the former prime minister and his vision for the state. Consider the intellectual and bureaucratic bankruptcy that has resulted in one of the most bizarre policies being currently implemented in the state. A policy tailor-made for GHQ Rawalpindi, capping four years of doing the wrong thing in Kashmir. The bi-weekly closure of National Highway 44 from Udhampur to Baramulla until May 31, to civilian traffic, is short-sighted, counter-productive and defies explanation. In the two short months that this closure will be implemented, it may achieve what the combined might of Pakistan, separatist forces in the Valley, and militancy failed to, despite their best efforts over three decades: It will distance, in every sense of the word, the people of Kashmir from the rest of India. The decision has been taken, it seems, as a knee-jerk response to the terrorist attacks against a CRPF convoy by the Jaish-e-Mohammad near Pulwama on the highway, in which 40 jawans were killed. Decided, it seems, without adequate “application of mind” and without even properly consulting the principal beneficiaries from this decision: The armed forces. Not surprisingly, one of India’s most thoughtful military men, General VP Malik (former chief of the army staff) described the move as a “dumb idea”. What is most bizarre about the closure is its logic-defying implementation. On the two days the highway was closed this week, few security convoys have passed through that stretch, while the people of the Valley were locked down, or went from pillar to post seeking exemptions under one category or another. But on the remaining days, security convoys were seen happily sharing the highway with civilian traffic. The exemptions were granted, in many cases (if posts viral on social media are good evidence), through stamps impressed on the wrists of individuals. Let us admit it. Since 1947, Kashmir has remained India’s foremost national security challenge, the nature of the challenge changing with the decades. After the dark 1990s, when India struggled to re-establish its writ in the Valley as it battled militants, both indigenous and Pakistani exports from across the Line of Control, came efforts at building peace through talks with various “stakeholders” in the Valley, and with Pakistan. This was also the most peaceful period in Kashmir since 1989, even though tensions continued to simmer underneath the apparent calm. 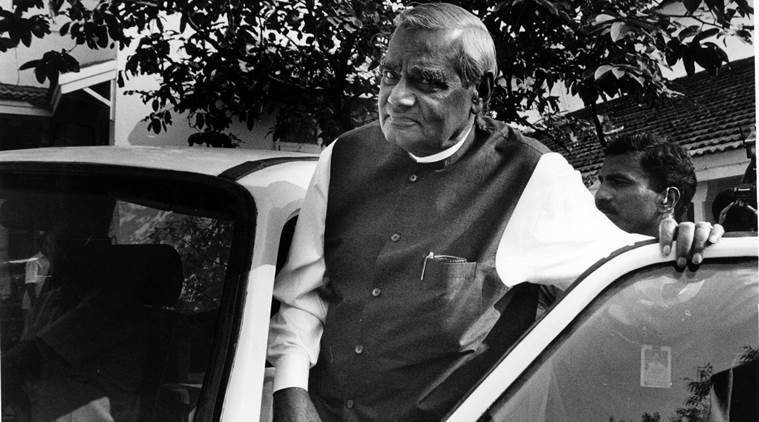 Without doubt, the most popular mainland leader in Kashmir was and continues to be Atal Bihari Vajpayee for both his sincerity and imagination as well as his spontaneity and vision. Tragically, the 2014 BJP-PDP agenda for alliance, which incorporated some of his sagacity, never took off, and the alliance itself turned out to be a disaster: It widened the gulf between the three regions, Jammu, Ladakh and Kashmir; and contributed to the rise, once again, of homegrown militants, especially young men inspired by extremism. The imposition of central rule has made things worse. Apart from the increasing alienation among a new generation of Kashmiris, the turmoil since 2016 has claimed more lives in the Valley — civilians, soldiers and militants — than in the previous 10 years. Going by numbers, 2018 was the deadliest year in the last 10 years in J&K. According to sources, the first three months of 2019 alone saw 162 killings in incidents across the state. The toll included 21 civilians, 58 militants, and 83 security forces personnel, including the 40 who were killed in Pulwama. There is a separate count of casualties on the Line of Control, and there it is mostly security forces personnel. There can be no count of the mental costs of living in conditions of constant conflict, as the people of J&K have done over the last years. More Kashmiri youth are taking up arms today than 10 years ago, or even five years ago — by some counts, there was a 800 per cent increase in 2018 over 2012 — belying the claim that a “no-nonsense approach to militancy” has succeeded. The Governor of J&K is a wise man, accessible and sensitive, and any attempt to dislodge him would further weaken faith in the governance structures of the state. The civil administration is clueless; honesty and integrity are essential for public service, but not sufficient for good governance. Illogical policies are being implemented often as fiats without adequate deliberation or careful consideration of inputs from the principal stakeholders. It has caused havoc. Atal Bihari Vajpayee built his track record on a five-pronged strategy towards Jammu and Kashmir. This must be the foundation to build a new consensus on Jammu and Kashmir. First, no compromise with terrorism and extremism and anyone who preaches violence or is a party to it. Second, dialogue with anyone willing to abjure violence and enter into a meaningful trust-building process for sustainable peace in the state. Third, enriching and strengthening democracy by ensuring free and fair elections, at every level, and by decentralising power to the grassroots. And by respecting the rights of every Indian citizen. Fourth, creating a better regional balance to ensure that the feeling of discrimination in Jammu and Ladakh is stemmed. Simultaneously, to create the conditions for the return with dignity and honour of the Kashmiri Pandits to the Valley. Fifth, fast track development to create institutions of academic and extra-curricular excellence. Implicit in the Vajpayee vision was the promise of no restructuring of the constitutional framework that governs the Centre’s relation with the state through Article 370 and attendant articles and clauses. Engaging with Pakistan is a whole different ballgame and that is best undertaken once we have the internal situation in order and Islamabad lives up to its promise to not allow its territory to be used by terrorist groups against India. Reimagining Kashmir as something other than real estate ripe for demographic engineering will require more than outsize chest measurements, but it will lead to a more secure, more inclusive and less paranoid nation.